A wildfire is an uncontrolled blaze fueled by wind, weather and dry vegetation that can burn thousands of acres of land and destroy everything in its path. If you have been injured, lost a loved one or suffered serious property damage from of a wildfire, the Phillips Law Group’s wildfire damage lawyers are determined to help you recover the compensation you deserve. 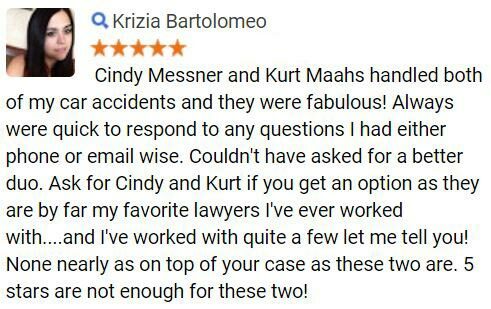 As an accomplished personal injury law firm, we have recovered hundreds of millions in compensation for injury victims throughout Arizona. Our firm’s founder Jeffery Phillips has received the distinction as one of the “Best Attorneys in America” and is a Leaders Forum member of the American Association for Justice. We will provide you with a free, no obligation consultation to determine the compensation you may be owed. All of our attorneys work on a contingency fee basis and do not charge upfront legal fees. You only have to pay us if we recover compensation for your claim. Call or text 1-800-706-3000 if you have suffered a loss caused by a wildfire. How Can An Attorney Help Me After a Wildfire? A wildfire is a destructive force of nature that causes severe devastation to anything that crosses its path. The damage caused by a wildfire often results in serious injuries, death and significant loss of property. Victims of wildfire damage often discover that rebuilding their life after a fire can come with significant challenges. Although you may have purchased an insurance policy that included coverage for fire damage, many people find that they are underinsured. Often, the compensation insurance companies provide fire damage victims does not fully cover the cost to rebuild their damaged or destroyed homes, personal property or landscaping. Wildfire damage claims involve complex litigation where often multiple parties can be held liable for causing a fire. This can include a utility company; tree trimming company; wiring company; or federal, state, county, and city governments and agencies. To help ensure your claim is properly handled, you may need a qualified wildfire damage attorney who understands the litigation process and can make sure your best interests are represented. At the Phillips Law Group, our wildfire litigation attorneys understand the impact that severe fire damage can have on a person’s life. 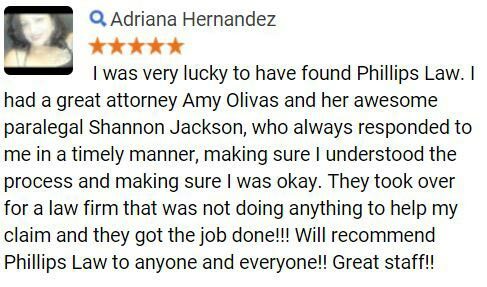 We will handle your case professionally and efficiently, while minimizing the effect it may have on your life. 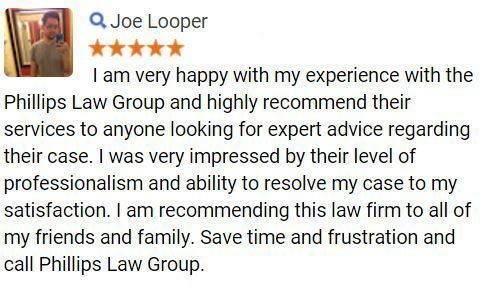 Our reputable law firm has decades of combined legal experience and is committed to investing the time and resources needed to represent your fire damage claim. Our wildfire damage attorneys will provide you with a free, no obligation consultation to review your claim and determine if you have a case that entitles you to compensation. During our initial consultation, we will review your insurance policy to determine if your insurer has acted in bad faith and provided you inadequate compensation for your coverage. Wildfires often begin unnoticed and spread quickly by igniting brush, trees, homes and structures. Although wildfires can be started through natural sources, such as lightening, the vast majority of wildfires are man-made. In a 2017 study, researchers analyzed 1.5 million government records of wildfires managed by state or federal agencies between 1992 and 2012 and found that humans caused 84 percent of wildfires and 44 percent of total area burned during the 20-year period. According to the National Park Service, man-made fires are the result of negligence or carelessness, such as leaving campfires unattended, burning trash and debris, or discarding cigarettes in areas with dry vegetation. Intentional acts of arson are also contributing to the growing number of wildfires that occur in wildland areas near developed communities. Additionally, wildfires have been caused by corporate negligence, particularly utility companies. Such an incident occurred in 2007 when faulty electrical wiring in a downed powerline struck a tree maintained by San Diego Gas & Electric Co. The incident caused three major Southern California brush fires that burned more than 198,000 acres of land, destroyed more than 1,500 homes, injured 40 firefighters, and caused two deaths. If you have been affected by a man-made fire, our wildfire litigation attorneys will review your claim to determine which parties can be held liable for your damages. We will then work to construct a solid case to pursue maximum compensation for your claim. The path of an uncontrolled wildfire is often unpredictable. Strong winds and other natural elements may direct the fire toward developed areas with populated communities. Wildfire smoke remains in the air for days or weeks after the fire has been extinguished. The smoke can cause serious adverse health effects, such as lung damage, difficulty breathing, asthma and worsened health conditions. If you or someone you love suffered a serious burn injury or medical complication from a wildfire, do not hesitate to contact our fire damage lawyers for qualified and aggressive legal representation. We will help you fight to receive the compensation you need to pay for medical treatment and recovery costs. Call or text 1-800-706-3000 to schedule a free consultation. The damage caused by wildfires can be far-reaching and affect many different types of areas, including residential communities, construction or development sites, and privately owned agricultural farm lands. Wildfires that spread to residential areas or business communities are known to cause devastating damage to nearby structures. According to the U.S. Fire Administration, 30.8 percent of fires occur in residential communities and developed commercial areas. A structure fire can cause extreme damage that may result in the total destruction of the building. Structural fire damage claims can also include the cost of code upgrades, as well as payment for uncovered or uninsured structures, such as garages, sheds or guest houses. Wildfire poses a high risk to areas thick with vegetation and often destroys the majority of the native landscape. This can have severe long-term consequences, including soil erosion, flooding, landslides and mudslides. A wildfire can result in the total destruction of agricultural products and farming areas. Many farmers do not insure their crops and when a wildfire occurs, it can cause financial devastation for the farmer and may affect the local community. Additionally, a wildfire will likely destroy the vegetation and landscaping of any area it affects. When a wildfire affects the native vegetation or a home owner’s landscaping, it may take years for the area to fully recover. Insurance companies rarely provide compensation for uninsured agricultural products and vegetation, which means you should contact a wildfire damage litigation attorneys as soon as possible. Often, people suffer extreme property damage during a fire. As a wildfire can be unpredictable and may change its path without notice, people are left with little time to secure their personal belongings and are often forced to leave them behind. Although personal property is one of the most commonly listed items lost in fires, many people are uninsured or underinsured in their fire damage policy to collect compensation for lost or damaged items. Our attorneys will carefully review your policy to determine if you can recover compensation for personal property lost or damaged in the fire. Insurance companies are often quick to settle fire damage claims, and many people who have suffered significant losses during a fire accept an insurer’s initial offer without realizing the true value of their claim until long after they settle. If you believe that an insurer’s offer is too low, or your claim has been wrongfully denied, do not hesitate to contact a skilled wildfire damage lawyer. Our experienced fire litigation attorneys understand the true extent of damage that occurs during a fire. We will employ a team of investigators and construction professionals to assess the destruction that occurred to your home, business or private property to accurately understand the value of your claim. You deserve to be fully compensated for all losses covered by your insurance policy. If your insurance company has wrongfully denied or undervalued your claim, our wildfire litigation attorneys will aggressively pursue the full compensation you are entitled. Complete our Free Case Evaluation form. If you have been injured or lost your home after a wildfire, it is in your best interest to contact a skilled wildfire damage lawyer as soon as possible. At the Phillips Law Group, our seasoned attorneys are skilled wildfire litigators and will thoroughly represent your interests during a fire damage insurance claim. We will identify the party responsible for causing the fire and hold it liable for the damages you suffered. Our attorneys are also experienced negotiators and will handle all communications with insurance companies to ensure your claim is treated fairly and properly represented. Do not hesitate to contact us for a free, no obligation consultation if you have suffered significant personal injuries or property loss after a fire. 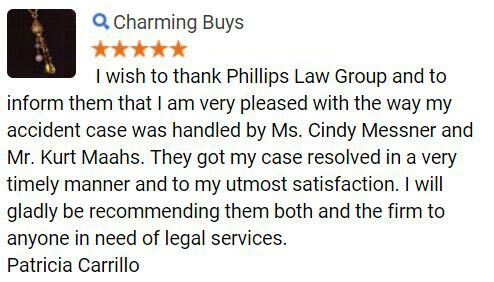 We never charge our clients upfront for our services, which means our qualified attorneys only require payment if you are compensated for your claim. Call or text 1-800-706-3000 to get started now.